We all need variety in our lives; both physically and mentally and when it comes to exercise and fitness in general, keeping things interesting and fun are an absolute must. To us, being fit goes way beyond exercise and eating right, it has just as much or more to do with how and what you think. We train our clients to exercise and eat in healthy ways, but we also teach them to train their brains to lead the way. Cooper Aerobics Institute Certified Personal Trainer ISSA Certified Specialist in Exercise Therapy Bobby has performed over 6,500 fitness assessments for a wide array of individuals including pre and post operation patients, post orthopaedic rehab, oncology, cardiology, joint replacement, rheumatology, pain management, athletes, weekend warriors, and many others. Two years of Physical Therapy Internship ISSA Certified Specialist in Sports Nutrition Doctor and Surgeon Endorsed Three years as a Behavioral Therapist Fitness Expert for the Dallas Division of the American Heart Association 2012 Community Team Committee Chair, American Heart Association 2010-12 Community Team Committee member, American Heart Association 25 years in fitness Author It’s All Heart A Body To Die For; The Painful Truth About Exercise 12 Rounds; A Day To Day Guide To A Better Life Corporate Wellness Program Design Secrets to Lifelong Wellness An Appetite For Life Keynote Speaker Bobby has given over 500 presentations on heart health, exercise, stress management, nutrition, corporate wellness, and motivation. 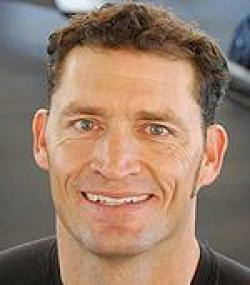 He has spoken as a fitness expert on behalf of the Dallas American Heart Association at over 60 events. Disclaimer Bobby Whisnand is not a medical doctor and he does not prescribe medical treatment or medications. He does not diagnose any health issues and his services do not substitute for medical treatment in any way. Bobby Whisnand is a Certified Specialist in Exercise Therapy and works in conjunction with Doctors and Physical Therapist.